The world of The Awakened. You just turned nineteen. Do you feel... different? Is strange magic happening all around you? Are you suddenly mindspeaking with a sentient animal? In "The Awakened", this could be you. 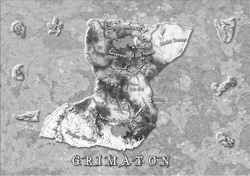 Sixteen exciting stories pull you into the diverse and unusual world of Grimaton, where the twin moons above might mean a lifetime of change. Join our celebrated authors as they explore the world of The Awakened and spotlight the heroes, the villains, and the magic; where a random few may find themselves bonded to an animal companion for life, or might find they are the possessor of weird and powerful magic they could never have imagined. How these exceptional few are treated and how they learn to use those unasked-for powers... Well, that is the adventure we have started here. Experience the highs and lows of becoming an Awakened, decide if you would use your power for good or for evil, and grow with characters who will make you proud... or make you angry. 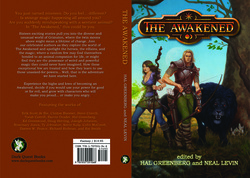 Audio excerpt of the short The Unseen by Doug Herring, available in The Awakened book I. Audio excerpt by Brady Vance. The excitement continues in 2014! Become one of "The Awakened" on Facebook!